Christopher Ash, in his book Hearing the Spirit, helps us to see that God’s Word is integral to understanding the Holy Spirit as a part of the Trinity. From the first chapter—and there are only seven in this theologically rich resource—Ash demonstrates how Christ’s own words interpreted His miracles, gave His teaching, corrected His enemies, and taught a dying world how to understand His Cross and resurrection. All of Scripture tells the story of the Eternal Word Himself, whose very words make God known. And, as Ash explains, “until the Spirit enters the heart, the heart is hard and cold and will not and cannot see the Father as revealed in Jesus.” Only the Spirit of God can change and save lives through the truth of the Gospel. If you're thirsty to understand and have confidence in God’s Word, this month’s resource, Hearing the Spirit, offers help. Grasp a deeper knowledge of who the Holy Spirit is. Learn the role He plays in the world and in the Church as told by the Gospel of John. Follow along with Ash’s profitable exploration using the study and discussion questions included with each chapter. 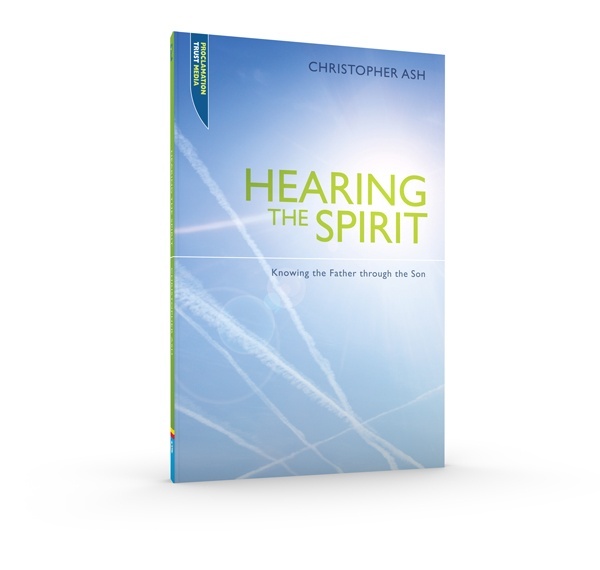 Purchase a copy of "Hearing the Spirit"